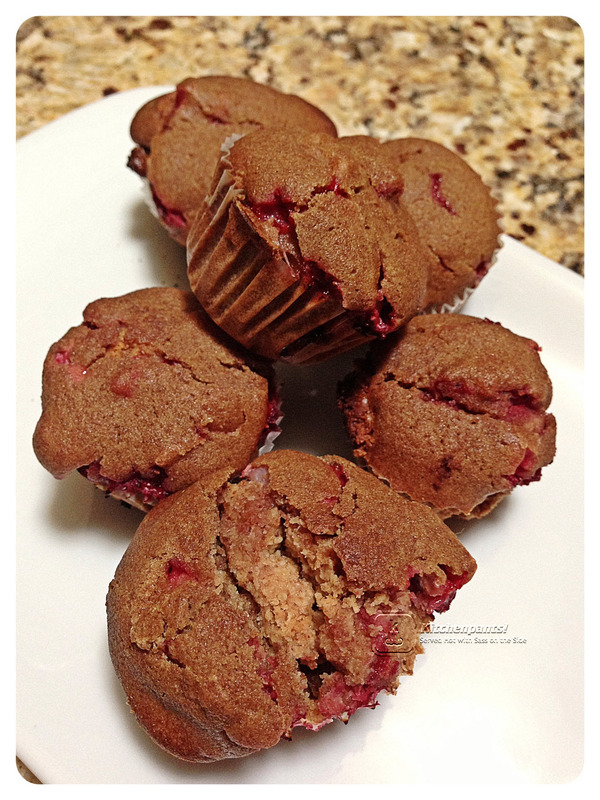 Teff Energy Muffins | Kitchenpants! My pre-race ritual is pretty simple: I wake up. I shower. I make sure that my running clothes match, and I curse at my racing bib (seriously, I hate racing bibs – they crinkle and rub and catch on everything and if the timing chip is on the bib, just yuck.) I grab my water and my Honey Stinger chews and an Uncrustable and I am out. Yes, an Uncrustable. You know, one of those little pre-made, processed sandwiches that you find in the frozen section of the grocery store. If ever there was a grocery store tramp, the Uncrustable is it. I picked up this nasty little habit at Disney World when I ran the Princess Half-Marathon. I was in desperate need of a pre-race snack and the Uncrustable was available. A total last-call-at-the-bar score. Ah, the guilt. I was guiltily chewing on my Uncrustable on the way to my last race when I decided that there must be a better way. I did a little research and here we are: Teff. Teff leads all the grains – by a wide margin – in its calcium content, with a cup of cooked teff offering 123 mg, about the same amount of calcium as in a half-cup of cooked spinach. It’s also an excellent source of vitamin C, a nutrient not commonly found in grains. Off to the store I went in search of Teff. When I found it, the package had a recipe for Teff Muffins right on the back. I worked in a few touches of my own and the result is Teff Energy Bites. Almond Butter – You will need at least 2 cups. You can use jarred almond butter or make my recipe. 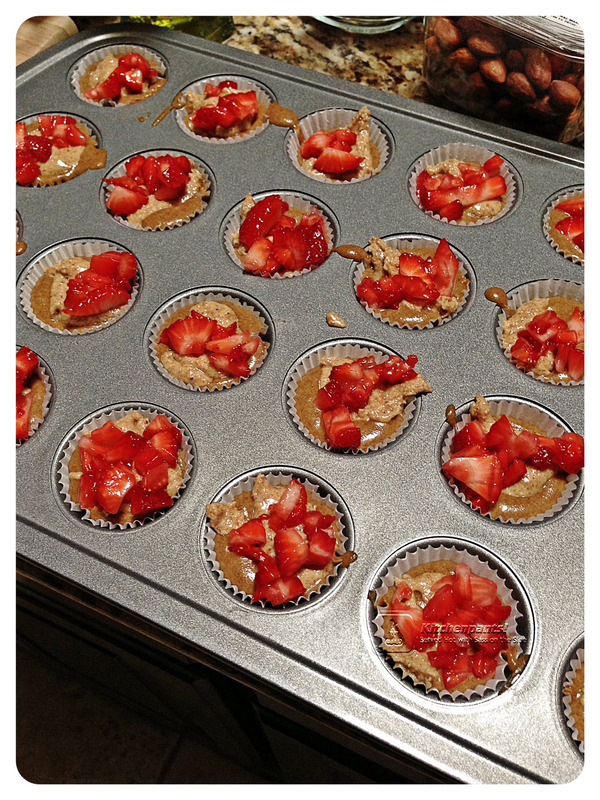 Muffin Pan – I used a mini muffin pan. Prepare your muffin pan. You can grease it if you like with some cooking spray or use paper muffin liners. Either will work. In a large bowl, combine your dry ingredients. In a separate bowl, combine the eggs, olive oil, and water. Pour the wet ingredients into the dry ingredients and mix with the spoon until combined. Fill each space in your muffin pan half-way with the batter*. Add a dollop of almond butter to each muffin. Add another dollop of batter over the top of each muffin. *This batter is really wet for lack of a better word. I poured mine into a Pyrex liquid measure to aid in the distribution into the pan. Thanks for sharing this great homemade energy bar recipe, you’ll have to let us know how you do at your next race!